The SimplE wall anchor has been designed to offer functionality at an unbeatable price. Thanks to the elements of which it is composed it will be really easy to anchor a flap of the sail to any wall or wooden structure. 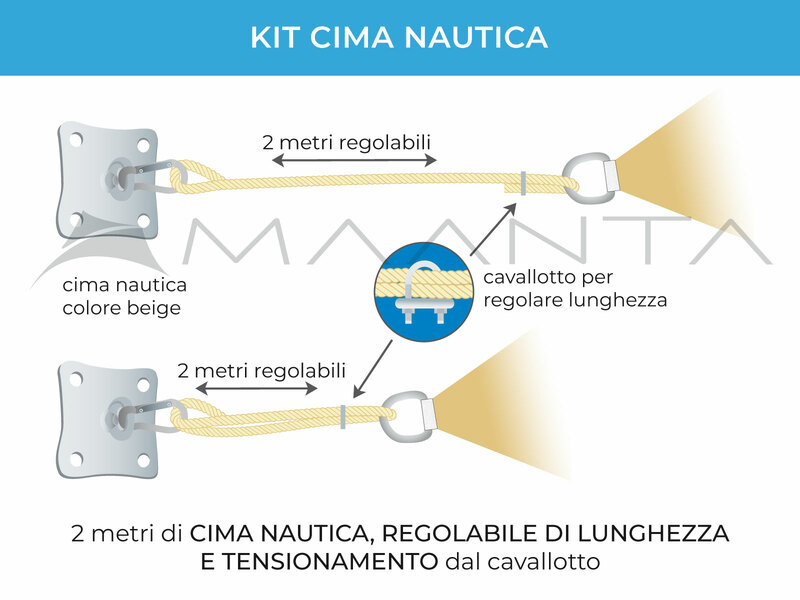 Unlike other commercially available kits using small plates commonly used in the nautical world, we preferred to develop a well-dimensioned anchor for the heavy loads to which the sails are subjected, very different from the light nautical loads. Each kit allows the fixing of a flap: You will then need 3 kits for the triangular sails and 4 for the square and rectangular sails. In addition to the wall kits we have anchoring posts in anodised aluminum and accessories of all kinds.